A group of three friends in Aberdeen are preparing to raise a glass for improved mental health awareness with a special not-for-profit beer designed to generate cash for good causes. FitLikey Brewery was launched by James Olley, 31, as well as brothers Neil Leiper and John Kidd. The three chums – who have each dealt with their own mental health problems in the past – decided to create a pilsner to raise money to help support people who are facing their own struggles. 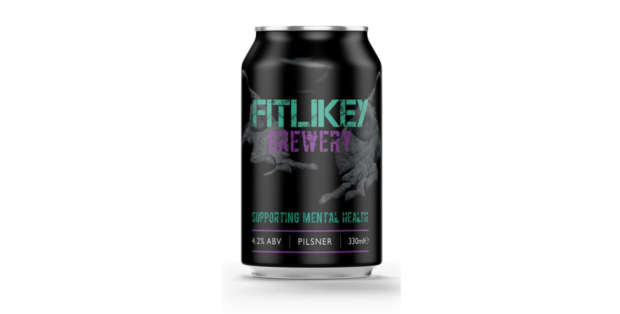 All proceeds from the sales of their new lager – which has been brewed in collaboration with the Aberdeen brewery Fierce Beer – will go towards mental health charities and causes. The drink was named after the famous Doric greeting of “fit like”, due to the positive impact that simply asking how somebody is doing can have on people. Mr Olley and the rest of the team had originally canned 500 cans of the 4.2% beer, but after receiving a great deal of interest from a number of local businesses, the first batch will now be doubled. FitLikey beers will go on sale at JK Fine Foods in Aberdeen’s West End, as well as the Fierce Beer bar on Exchequer Row, from the beginning of March, with other outlets also on the horizon. Mr Olley said: “We’ve been talking about doing something like this for two and a half years, but finally we’ve got a plan. “We decided to make a beer that gives 100% of its profits to mental health causes, and that’s what we’re finally doing right now. “Right now, we’re just waiting on the labels being printed, and we’re really excited to get the beer out there and hopefully make a difference.